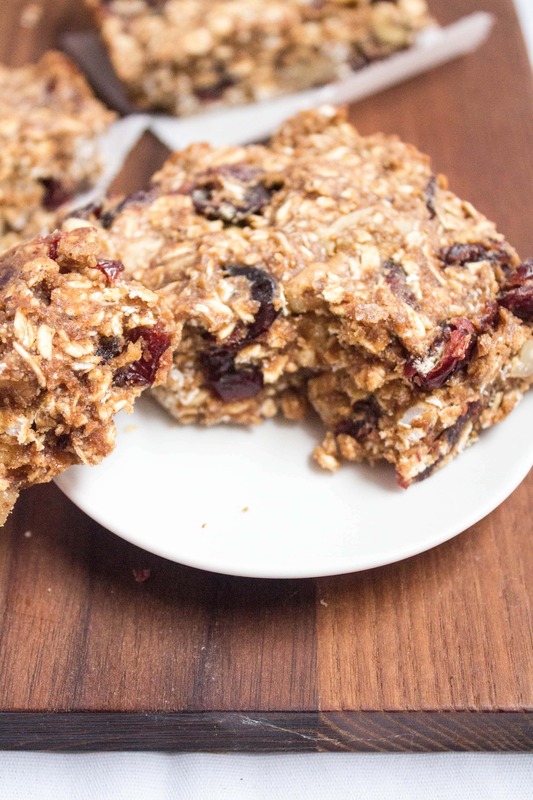 These granola bars are both vegan and gluten free, super easy to make, nutrition packed, and absolutely delicious. Make a batch to keep on hand for the week! These granola bars are a nutritional powerhouse; packed with protein, fiber, and healthy fats, they’ll keep you going whether you need a quick breakfast or a handy on-the-go snack. They also couldn’t be easier to make! *If you need to recipe to remain gluten free, be sure to buy gluten free certified oats and walnuts — they are both naturally gluten free but often contaminated in processing. 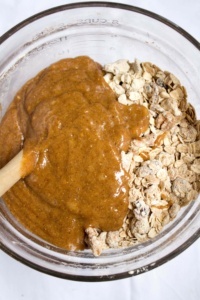 1) Mix the flax meal with the warm water and set aside to “gel.” This is the vegan equivalent of two eggs! 2) In a large bowl, mix oats, chickpea flour, cranberries, walnuts, cinnamon, and sea salt. 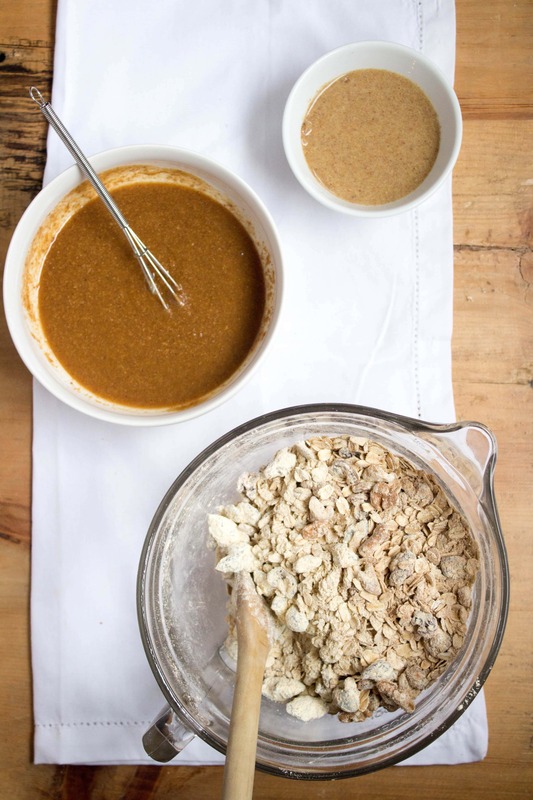 In a separate smaller bowl, mix nut butter with maple syrup, then add the flax/water mixture, which should now have gelled, and stir again. 3) Mix wet ingredients into dry. 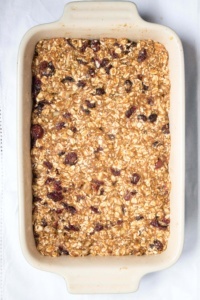 Pour into a greased square or rectangular baking dish (mine is 11×7 but slightly smaller would be better) and bake 15 to 18 minutes, until top is golden brown. Allow to cool, then cut into bar shapes. I sampled them immediately and they are DELICIOUS — awesome chewy texture and not too sweet but with a lot of great flavor. I’m obsessed and will definitely be making these again soon! Once the bars were cool, I wrapped them up for easier grabbing and going later this week. A few got wrapped in tin foil… but then I ran out of tin foil and had to put the rest in ziplock bags. :) I’ll store them in the fridge so they last longer and some might go into the freezer for later, too. 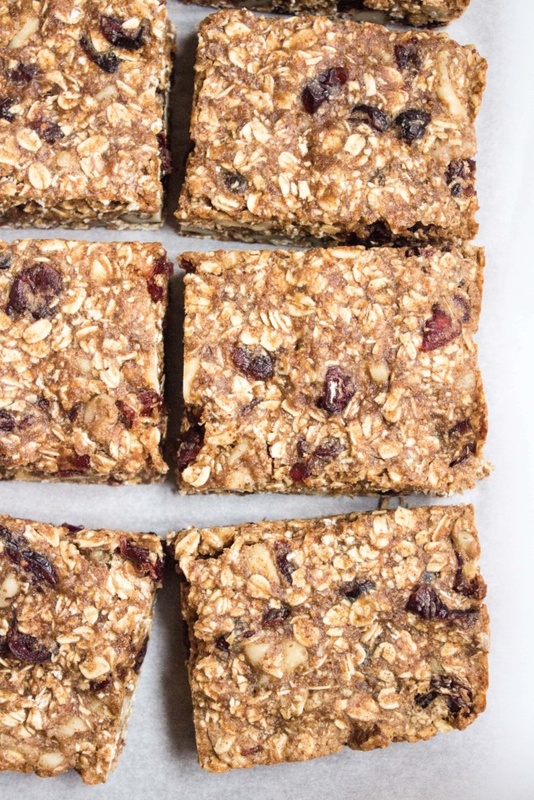 5-Minute No Bake Peanut Butter Granola Bars (vegan, gluten free if you use GF certified oats) — by far my most popular recipe on the blog! Next article: Today is the Day. These look fantastic…or should I say fANNEtastic ;)! I am getting bored of my daily snack so these will be a welcomed change- love that they use garbanzo flour! I love garbanzo bean flour – it gives such a great texture! is there a difference between flax seeds and flax meal? what should i be looking for at the store? 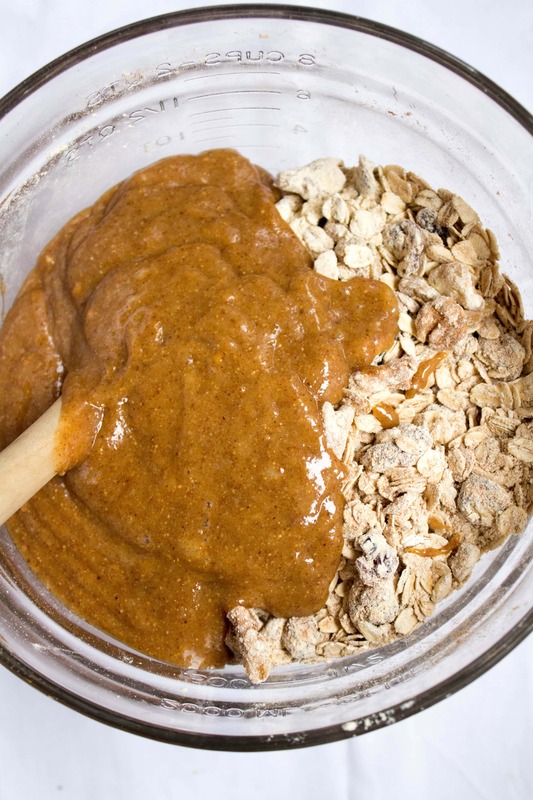 Yes – flax meal is simply ground flax seeds! I would buy flax meal (aka ground flax) unless you want to grind it yourself. Our bodies can’t digest whole flax seeds so you won’t get the nutrition in them if you eat them that way! I have really weird food allergies, so I can’t do the oats. Any other ideas on this? I think I am asking the impossible, but I am getting desperate! I made the quinoa bars, but had to take out the chocolate, and added cherries. They were really great! Grains on my okay list are very limited – corn rice and quinoa. Any help is appreciated! 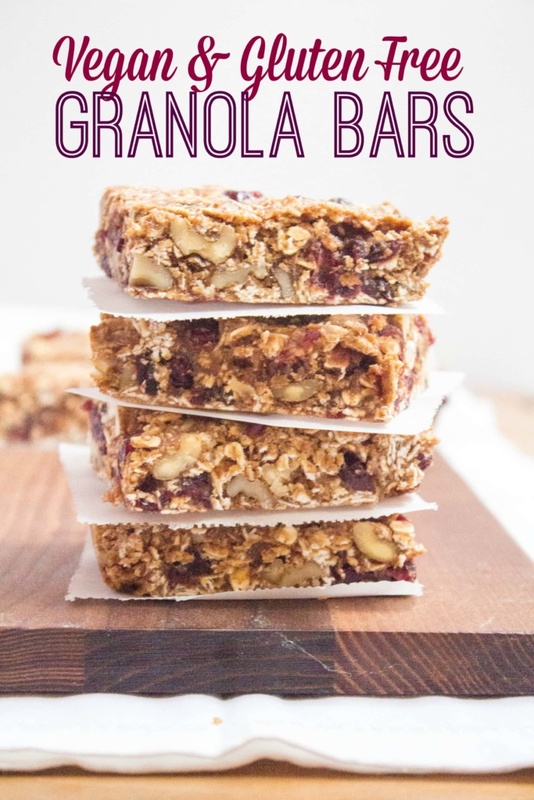 These look so delicious, and filling with the whole grains and walnuts! I have all the ingredients on hand!! I’m gonna have to make these over the weekend. I agree with Khushboo- fANNEtastic! These look incredible. 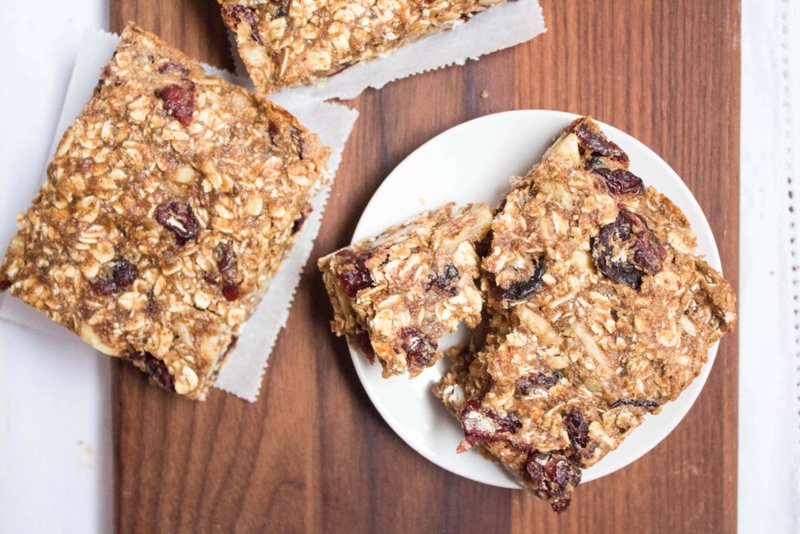 You never steer me wrong with your granola bar recipes. I’m sorry, I don’t. If you calculate it, let me know and I’ll add it to the post! Awesome – thanks! So 270 per bar if you cut them into 10 bars. Yummy, another fANNEtastic recipe to try on my guinea pig family. Looks terrific. Thank YOU! Can’t wait to try yours next time. :) Must buy dates!! Yumm! These look really good. I need to try new recipes too but I know how you feel… I haven’t had much time either with school and all. When do you graduate? I graduate May 5th! So excited. I don’t actually graduate until December because I’m technically still in school (and paying tuition… grrr) while doing internships this summer and fall, but we are done with classes in early May – yay! Wow! I can’t believe I have all the ingredients to make these – tonight! I should be heading to bed, but these look so delicious, not sure I can wait until tomorrow. Seems like something really easy to grab for breakfast when I have to leave the house at 4:30 a.m. on some mornings! Eager to try them! OK. 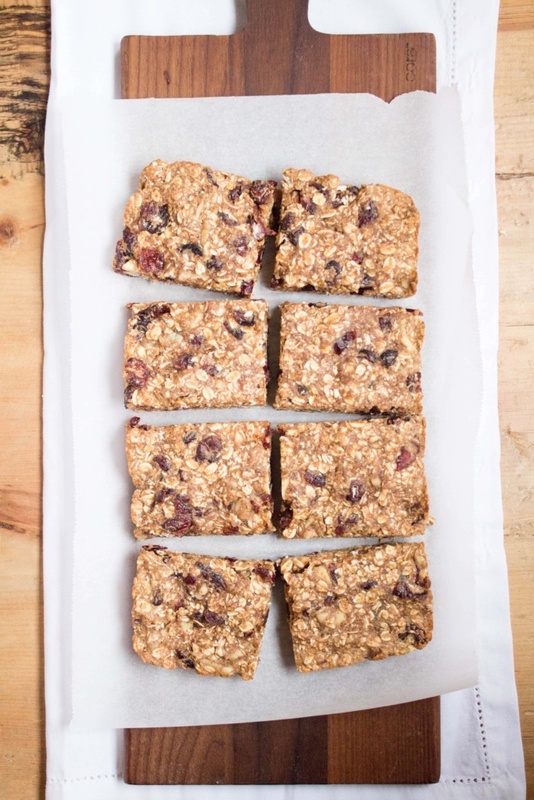 I finally made the snack bars and think they’re great! Lesson learned: don’t taste the mix before it’s baked – it tasted bitter (so I added a tablespoon of molasses thinking that might help, and then sprinkled a tad of kosher salt on top). I lined my 10″ square cake pan with parchment, overlapping the edges so that I could lift the bars out to cool and cut them without scratching my pan or making too much mess. Then I sprayed the parchment and exposed sides of pan with baking spray. I baked them for 20 minutes because we’re at high altitude and sometimes it just takes longer. They came out great, though! But next time I won’t add the salt. Do you think 1/2 cup agave is kind of a lot? Agave is already so overpoweringly sweet. I wondered if you’ve ever tried cutting back on that a bit. I mean, I won’t add MORE salt to the top. They’re fine without that. Haha yeah, raw chickpea flour = not delicious. Cook chickpea flour = delicious. :) I used maple syrup so I’m not sure how the agave would taste, but the maple syrup was hardly sweet at all – perfect. Hi Anne :) Would it work to use quinoa flour instead of chickpea flour? These look great and I have all the ingredients except for the garbanzo flour – do you think gluten free baking mix, spelt, rice or quinoa flour would work? I don’t use regular flour. I’ve never seen chickpea flour, hopefully whole foods will have some. Enjoying your blog, I just started one! 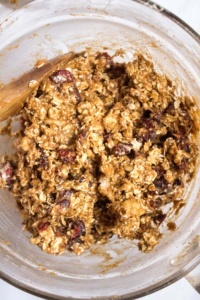 I used Rice Flour instead of Garbanzo and added chopped sunflower seeds & raisins…. Yum! Thanks for a great recipe! I’ve been loving making your snack recipes to take into college with me lately! I just made a batch of these to take on a surf trip with friends this weekend. Can’t wait to share them! Yay, glad you’ve been enjoying them! Would you please post the nutritional information? Thank you. I don’t have it, but if you want to calculate it check out SparkRecipes.com – they have a recipe calculator! They didn’t really “pour.” Could I be doing something wrong? I actually had to really work at getting them in the pan for baking. I’m sure they will still taste delicious. Anne, these are amazing! I’ve had these bookmarked for a long time and finally got around to making them. They fueled me SO well at many points during a 2-day backpacking adventure in the Catskills. I had little pieces of them in a plastic bag in my pocket for quick bursts of energy. They made a great quick breakfast, too. 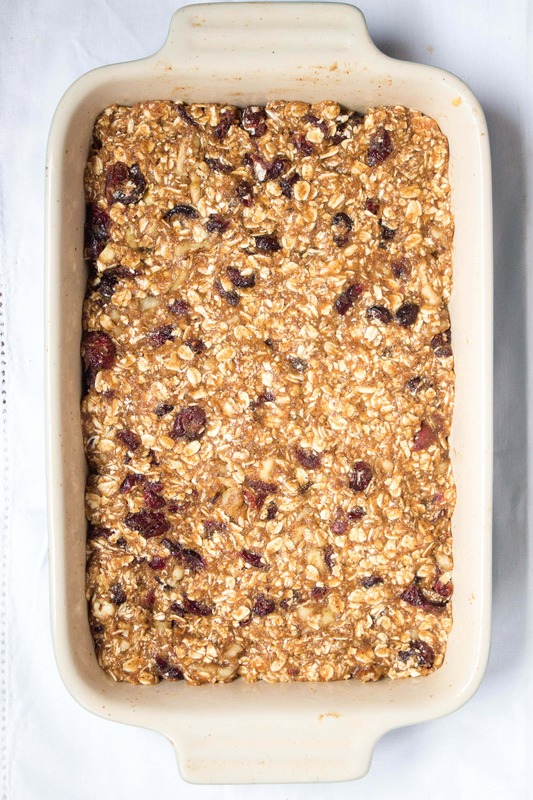 These are going to be my new go-to homemade energy bar. Love that they use chickpea flour for extra protein and overall nutritional punch.